If you’ve got an especially green thumb and have gotten carried away with your home garden you might be in need of new gardening space. What you might not have considered is the possibility of using a storage unit as a makeshift garden for your potted plants. Though this might seem like a strange choice, it’s actually very effective. Having your garden in a removed space like a storage unit can create a little oasis for you to retreat to when you need to rest. Below, we have written a blog containing some of the best tips for successfully creating your storage unit garden! Of course, you’ll need to make sure that you are buying plants that don’t require direct sunlight. You’ll want to do plenty of research to make sure that you get plants that are meant to do well inside in artificial light – that is unless you want to go to your storage unit garden every day and take each individual plant out into the sun. There are lots of plants that do well out of direct sunlight, so make sure you talk to an expert and do research before investing in plants. You want to make sure that you’ve potted each plant correctly and with great care. Consider bringing in shelves to put your plants on or maybe some command strips or something so you can hang some from the walls. Buying high-quality containers will help maintain moisture so that your plants stay hydrated in your little storage unit garden. Investing in both quality potting soil and quality pots are worthwhile. Though your storage unit garden creates a lovely little retreat away from your home, we all know that sometimes out of sight and mean out of mind. You must be careful and not let this happen with your plants. 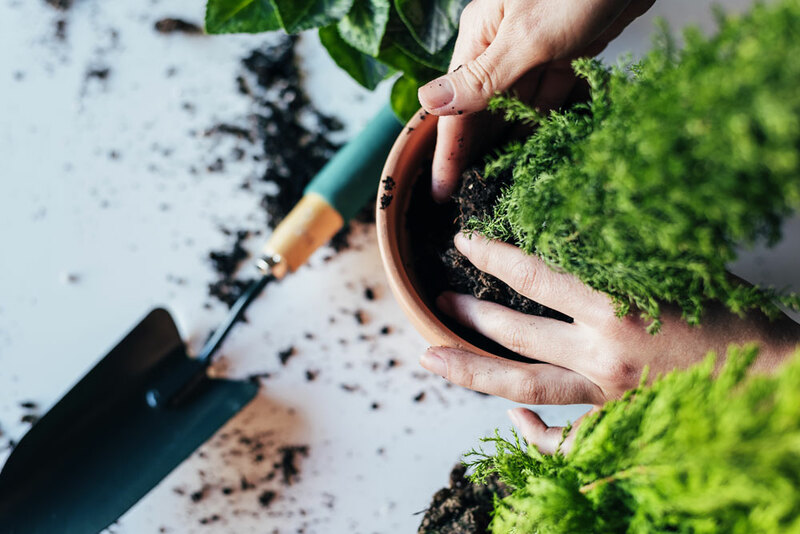 Do your research, find out how often your plants need to be watered and make sure that you go out to your garden frequently enough to keep them properly hydrated. Plants are very delicate. You need to make sure that they aren’t exposed to too drastic of temperatures. Renting out a climate controlled storage unit will allow you to keep the temperatures perfect for your potted plants. In a climate controlled storage unit, you never have to worry about whether your plants will die of the heat or the cold. Rent A Unit From AFS! If this somewhat unorthodox idea is of interest to you, make sure to check out the climate controlled storage units at Affordable Family Storage. We have several different sizes of our durable and safe climate controlled storage units available. Contact us to find out more about our storage units and let us help you get set up in one today!